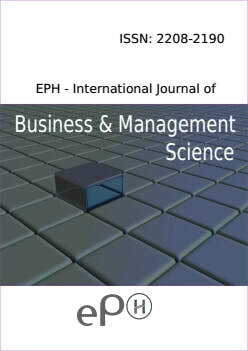 ​EPH Journal founded in 2014 and it is a rapidly growing academic publisher in the fields of Engineering Sciences like Computer Science, Information Technology, Electronics Engineering, Electrical Engineering, Mechanical Engineering etc. The main mission is to publish journals and thesis and devote to research and global dissemination of academic information. The EPH Journals are increasingly important journals for the development of engineering science and technology. The primary audience of this publication comprises academics, graduate students, practitioners and all others interested in engineering science research. The journal welcomes and encourages articles from both practitioners and academics.